Social Media Outsourcing Good Deal for SME’s ? 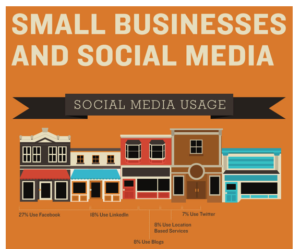 Home » Social Media Outsourcing Good Deal for SME’s ? Small and Medium-sized enterprises (SME) have a limited budget for everything. Thus, convincing them on using social media platforms is a much difficult task that social media outsourcing these social media activities. 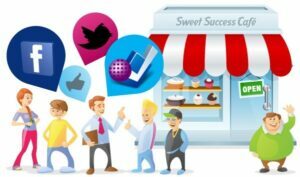 Why SMEs should use social media? Understanding the requirements to serve their customers better etc. Thus, investing in social media marketing should be a part of advertising budget. Why SMEs need to outsource social media? More than anything, SMEs work on yielding a higher ROI. Working on a strict budget, yielding positive results is necessary for them. Following are some of the advantages that prove social media outsourcing can yield a higher ROI for SMEs. SMEs need to be prominent (either globally or locally) online and social networking sites are the best places where they should start. Being present on the right social networking site/s gives them a chance to showcase their products/services to their target market.. Building your company page on Facebook/LinkedIn gives that professional impression to any customer.Social media experts can we of great help in building that social media reputation for SMEs. Interesting content can always attract more customers on your business page and thus lead to sales in more than 50% of cases. This is where, social media experts come in picture. These experts can create good, engaging content knowing the pulse of the target audience, thus attracting more and more potential customers on board. Outsourcing of social media marketing to . Social media professionals can ensure huge promotion and visibility of the company website/products/services on social media channels resulting in more website clicks. . If an SME does not know how to do social media marketing properly, using social media for their business would not be of much help.. In such cases, outsourcing social media activities to experts can no doubt generate better results. Busy with day to day business affairs, SMEs may not have enough time to frame an effective social media strategy. Outsourcing social media ensures that the experts will frame an effective strategy that would be beneficial for SMEs and will suit their budget and requirements. Instant analytics is available for social media. It could be tiresome for SME Team to interpret and analyze the data. Social media experts can analyze social media analytics and prepare monthly reports for them that would show the progress of their social media activities. Social media is a big sea of various social media platforms and ‘n’ number of people/brands . Standing out and showcasing your brand value can only be possible with the help of experts of the platforms. This can be done only by outsourcing your social media to social media experts. Outsourcing social media can help SMEs to focus on their core business and not waste time and money in recruiting social media executive for their organization. With a lot of competition in each vertical in the market today, outsourcing social media marketing activities to experts can ensure a tough competition to your brand’s competitors within a short time. What reason would you consider when you decide to outsource your social media? If you consider to outsource your social media, then contact us here.